People who see themselves as attracted to "both men and women"
Other terms include pansexual, sapiosexual, omnisexual, etc. What common challenges do bisexual people face in the workplace? Many feel inaccurate stereotypes--such as bisexual people are confused or promiscuous-- discouraged bisexual people from coming out to their colleagues. Some feel their ability to perform well at work is affected by negative reactions from their colleagues as a result of their coming out as bisexual. Bisexuals often face discrimination from not only the heterosexual community, but also lesbian and gay communities because bisexual sexual identity may not be believed. Because of these and other issues, bisexuals are far less likely to come out at work. Why does it matter if bisexual people come out at work? Stonewall's ground-breaking research into workplace productivity has shown that lesbian, gay and bisexual staff are more efficient, confident, creative and motivated when they feel able to be open about their sexual orientation. On the other hand, those not able to be open about their sexual oritentation tend to report that they feel both unhappy and disconnected from their work. A 2015 YouGov survey revealed that 43% of people in Britain between ages 18 and 24 identified as something other than 100% heterosexual. This means that the issue of coming out in the workplace is going to continue to grow in importance as younger generations enter the workforce. What is bi-visibility and how does it relate to coming out? Although coming out in the office can be a difficult issue for anyone, coming out as bisexual can be uniquely challenging. For example, if a bisexual person is in a same-gendered relationship, others generally assume that the person is gay. If they are in a heterosexual relationship, others assume the person is straight. Therefore, a bisexual person may have to make a concerted effort to relay their sexual orientation—or make themselves visible—to others in ways that may feel uncomfortable or inopportune. Even when bisexuals come out, their sexual identity may not be believed by either the heterosexual or gay and lesbian communities who sometimes view them as indecisive, going through a phase, secretly gay or doing it for someone else. To avoid these negative reactions, many bisexuals choose to allow others to perceive their sexual orientation based on the gender of their current partner. This essentially leads to bi-erasure or the idea that bisexuality doesn't really exist. How can I help to increase bi-visibility and bi-education at my organisation? We welcome support from companies, firms and other organisations. 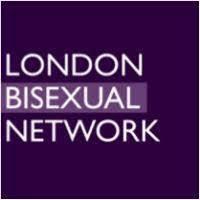 You can help us in a variety of ways such as offering sponsorship or hosting events - to discuss this in more detail please contact us at info@londonbisexualnetwork.co.uk . Bi-Visibility Day is held annual on 23 September each year, but you don’t have to wait to start educating your community or your company. Reach out to us anytime!